Beloved Spear: Chapter One: Why The Small Church? Why write about the small church? Why research it? Why care at all? One primary reason was reflected in a recent article highlighted by the hipster Jesus publication Relevant Magazine. It was entitled: "Five Really Bad Reasons For Leaving Your Church," or somethin' like that. It was a blog-missive from a church-plantin'-pastor type, Aaron Gloy. Gloy spent much of this article admonishing Christians for some of the less-valid reasons they find to abandon a congregation, structured into one of those nice neat little listicles that are a surefire way to drive web traffic. But the pesky thing with bloggery is that it tends to push us to make bolder statements. Like, say, that: "Remaining small is a sad and unbiblical goal." He then goes so far as to accuse those who like intimate communities of being "in need of repentance." As a small church pastor, that got me dander up, it did. But I took a few deep breaths, and tried to see it from his perspective. In point of fact, "remaining small" is paradoxically central to the growth of the Gospel. This is why Big Parking Lot Churches so assiduously and carefully support small gatherings. That's where relationship happens, and conversation happens, and sustained transformation happens. It's where the Spirit moves most freely. The big emotional hit of a perfectly choreographed crowd-worship? That fades away as quickly as Psy's fame. Psy? You remember Psy. “Gangnam Style?” Yeah, fame fades. Emotional manipulation does not represent spiritual growth. The meat and life of the Way is in those places where you are connecting to other flawed, struggling, growing, beautiful souls, and walking the walk with them. "Growth is inevitable," Loy suggests. It isn't, because it can't be. Why not? Because despite the expectations of growth-driven suburban development and urban infill, not every community is growing. I recently spent a weekend in West Virginia, and as I wended my way down some lovely, twisty country roads, I passed dozens of small churches. There is no sprawl there. It's rural, and population is either stable or declining. Churches there do not grow large, because they are not in the urban, suburban, or exurban places where growth in our culture is occurring. They can’t grow, because they exist in a medium that does not permit it. Are these rural gatherings illegitimate? Are they not places where the Gospel is needed and legitimately expressed? I cannot believe either of those things to be so. But it is easy, in our consumer culture, to equate numerical expansion with what is good. This is not so. "If you don't like big churches, you wouldn't have liked the first church, and you certainly won't like heaven," Loy suggests. I'm not quite so sure on either of those points. First, the "first church," assuming he's talking about the ones Paul and Apollos and Cephas and others planted? Those were house churches. Not large, not flashy, not hundreds and hundreds of souls. By our standards, those were small gatherings. So I'm not quite sure what that means. And second: heaven? I don't think it bears any resemblance to Big Stadium Worship. Or anything we now understand. I mean, seriously, dude. It’s heaven. And so, as I’ve worked towards my doctorate, I've found myself thinking more and more about healthy small faith communities. What makes them vibrant? What makes them worth attending? What maintains them as organic institutions? Much of that has to do with perception and the sense a congregation has of its own identity. So the other day as I was looking over the web presence of my own little community, I found myself encountering a sentence I've read dozens of times with slightly different eyes. We are, or so the little blurb that pops up on Google informs you, "small but growing." And I found myself suddenly wondering, "small but?" Huh. I'd never really thought about that before. Does any church really need to have a "small but?" Is small something that churches need to apologize for? Oh, sure, there are plenty of things of which I could see a church needing to repent. There are plenty of entirely justifiable "buts." "We're emotionally manipulative and judgmental sometimes, but at least we've learned to recognize it." "We're a giant warehouse of a church indistinguishable from a Best Buy, but we try to build relationships in the midst of this faceless crowd." "We're a giant corporate church with a worship as carefully choreographed as a Cirque de Soleil show in Vegas, but we work hard to still have a human touch." "We're a social clique, but we've been trying to figure out how to be more welcoming." "We're drab, dull, and boring, but we're willing to change, or at least laugh every once in a while." "We're as mean as a rattlesnake, but you don't have to come here." Those things, I'd get. Some are certainly spiritual afflictions of small faith communities. And some churches really do stay little primarily because they have no good news to offer. But small itself? I'm not sure that's a thing we need to qualify. We are small and vibrant. We're scrappy and hardworking. We are intimate and spiritual. We are cute and cuddly. We are a place where you can make a difference. We are a place of belonging. Whatever we say, it needs to be: "We know who we are, and from that place of authenticity, we speak the Gospel into the world." Because the way we understand ourselves has a tremendous impact on the way we respond to God’s call on our lives. If we view smallness as something that marks our communities as inherently inadequate, then we’re succumbing to a peculiar and unbiblical assumption about the nature of church. It’s an assumption that arises out of our culture, out of a society that has increasingly fetishized size as the measure of quality. But it’s a flawed assumption, one that a small but growing chorus of voices is recognizing as unhealthy for the life of the church. What are the alternatives to growing big, sprawling our church out across the landscape like an endless field of industrial-agriculture GMO corn? 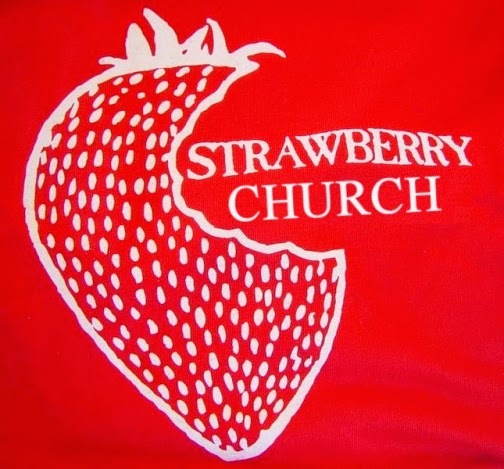 What does it look like for a community to be small, robust, and sweet, like that little patch of strawberries that thrives with a little bit of care in your front yard? That’s the point of this project, and the point of this book. This thing we call church is, after all, not a “business.” We are not primarily about buying and selling, or about products. Sure, we have “services,” but we’re using that word in a very different way. And profit? Profit is not our goal. So for that, let’s first take a little walk through the evolution of charitable organizations in the United States. For those who live and worship in a smaller faith community, how does the size of your congregation impact your sense of its worth? The opening and introduction include reference to a Christian writer who believes that a church must either be growing or large to be representative of the Kingdom of God. Is “smallness” a sign of spiritual weakness or something inadequate? Why or why not? The metaphor you’re going to be stuck with for the next couple of weeks is an organic one, rooted in a simple garden image. To what extent does your community reflect this reality? Does it feel like it has its own organic life? Have you ever been part of a faith community that was different in size from the one you now worship/fellowship/hang about in? How was that different?